A bug out bag, popularly known as a BOB, is essentially a portable survival kit that consists of all the items a person would require in case of an emergency evacuation. An ultimate bug out bag contains survival items for at least 72 hours. However the main focus of it is an evacuation, not long-term survival. That is the difference between what is commonly known as a survival kit, and a bug out bag. If you're short on time and want all the Bug Out Bag Essentials now, then this Premium 4 Person Survival Kit. In the event that you do need to bug out and leave your home. Whether it be due to an emergency situation, man-made disaster or a natural one. There is certainly a list of bug out bag essentials that your BOB needs to contain. In order to survive adverse weather conditions, you must have the essential items to shelter yourself. For anyone that has done any form of survival training or course, making or finding shelter is the very first thing you need to do to survive. 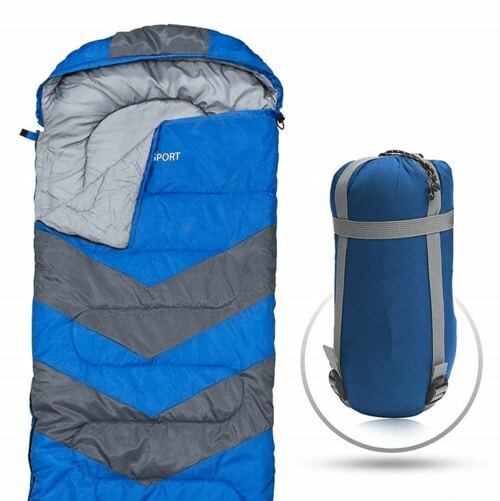 Some such items that you can preload your BOB with are a sleeping bag, tent, tarp, woolen blanket and a raincoat. Clothing is an important item to shield also. Therefore thick socks, walking shoes or boots, gloves and a couple extra pairs of underwear and pants are recommended. A light-weight tent can also be included. These are the few necessary items for shelter that I recommend packing in your ultimate bug out bag. Butane lighters and matches are the most primary items you can buy cheaply to light a fire. However, both of these items require being in a dry state to function. Coating match sticks with wax or preparing cotton balls with vaseline and storing in a zip lock bag is great way to have 'tinder' on hand at all times. A small and compact magnesium rod fire starter is definitely a mandatory item to include in your bug out bag also. The Exotac nanoStriker is a quality tool and affordable. The minimal amount of food that you should consider to pack should last each person for 72 hours. And I'm not talking about full on MRE's here. Survival bars are my preferred source of sustenance at this point. They are cheap, small and you can get a variety of different flavours and calorie loads to suit anyone. Having three meals a day is not a viable option. You have to pack light and only provide the necessary intake. If you have room in your bug out bag for a cooking device, then by all means include a small camping stove. These can also be used to boil and sterilise water. 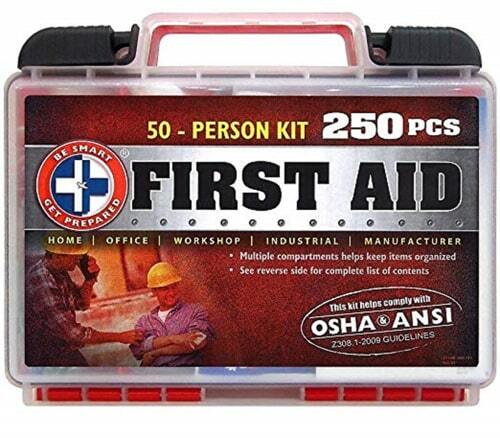 A first aid kit is most certainly on the list of bug out bag essentials. It must contain bandages, gauze dressing and pain relievers. It is necessary to maintain hygiene even in the most adverse conditions. Hand sanitizers, travel toilet papers, wet napkins, soap and bug repellents are important. Here is my recommended First Aid Kit that meet all these needs and won't take up valuable real estate in your bug out bag. It is necessary to have certain tools for survival and by far the most important one is a Survival Knife. My most favored one is the Bear Grylls Ultimate Survival Knife because it also comes with an attached Fire Starter. Quality constructed and affordable. While your body can go several weeks without food, it can only last a couple days (depending on your activity level) without water. 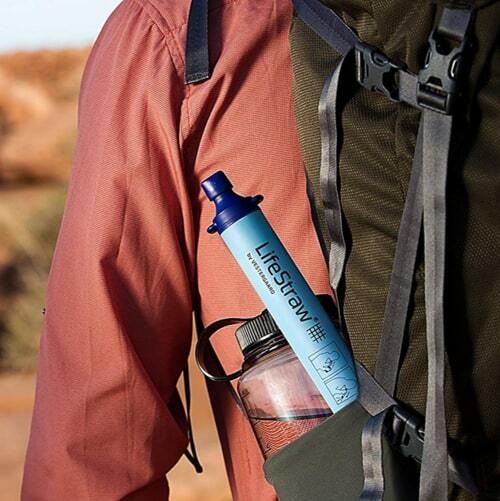 So staying hydrated and packing a means to filter and clean water is vital to your ultimate bug out bag survival list. Now, the problem with water is that its volume remains the same no matter what and it's not possible to compress water and carry it. Thus to solve this problem, it is suggested to carry at least 2 bottles of water. However a filter such as LifeStraw which can be used to purify the water gathered along the way is much more efficient option. The primary objective of evacuation is to move from the place of calamity to a safer place, which is generally predetermined as efficiently as possible. This efficiency can be ensured through prepacked maps and a compass, such as these Hard Shell Liquied Filled Button Compass 10 pack. All for under $10. Take the hassle out of navigating and familiarise yourself with the route and map, to make evacuating as safe as can be. When building your bug out bag, you need to think about all the different types of situations you (and your family) my be faced with. Having a means to signal and communicate may be the difference of being found safe sooner rather than later. Therefore it is better to be safe than sorry. The types of gear you can include are whistles, glow sticks, rescue laser, signal mirror, cell phones, CB radio, FRS and GMRS and a Ham radio. How you choose to store your bug out bag essentials is completely up to you and everyone's BOB is bound to be different. Some people choose ordinary backpacks, while some choose shoulder or duffel bags. There are even some that will use a suitcase, although I do think that is pretty impractical if you need move about quickly. 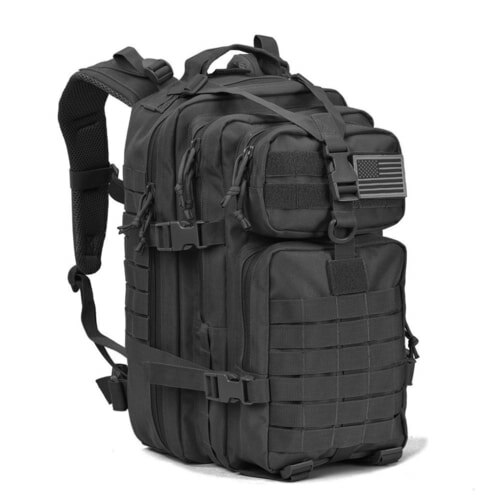 My absolute favored pack is the Military Tactical Assault Backpack. I have an article right here that talks all about it and why I think this one is the best and most affordable option on the market today. The need for a bug out bag implies that you are trying to survive. Take with you the best means of self-defense that you have. Include non-lethal means, in addition to whatever weapon you might choose to carry: whistle, pepper spray, etc. If you carry a gun, take extra ammunition, 25 rounds minimum. Personal hygiene needs like deodorant, feminine sanitory products, hair brush or comb, ponytail holders if you have long hair. People have different preferences and thus the contents of their bag may vary. Instances of over packing are quite common along with other common mistakes like untested gear and over packed food. Another common mistake which people make is buying the bag before arranging the supplies. It should be kept in mind that your bug out bag essentials should be selected prior to buying your storage pack. So assemble your items first and then by your pack. And if you are packing for you family, then check out my guide here on Family Bug Out Plan preparation.